Oh the historic Hudson River, one of the main contributors to New York City's beauty. The neighborhood of Hell's Kitchen in West Manhattan lies on the great river's shores and provides a breathtaking westward view. 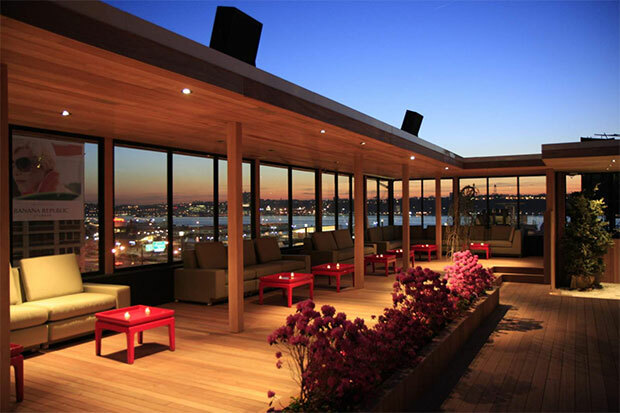 Hudson Terrace is a gorgeous rooftop lounge/club with a great atmosphere and a fun crowd. Hudson Terrace's partially outdoor space allows for a romantic, fresh air experience overlooking the Hudson River and its banks. Let New York City VIP Services set up your reservations at Hudson Terrace and you will receive great discounts while getting to experience everything this venue has to offer. Any time you have a chance to party on a rooftop in the Big Apple, you should take that opportunity. Hudson Terrace's view is absolutely spectacular. The outdoor deck is fashionably decorated and intimately lit by the surrounding city lights. 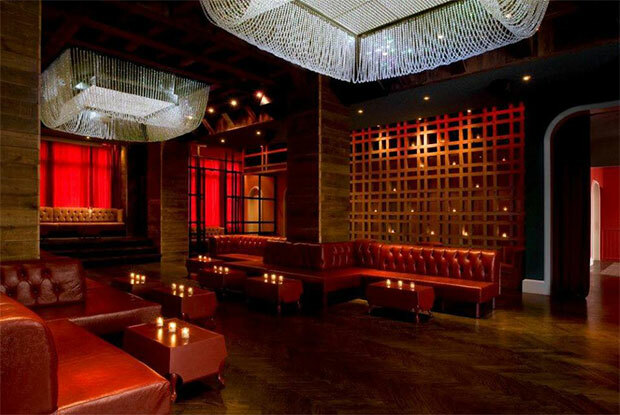 The club also has an indoor bar area lit by elegant chandeliers and hanging glass beads. Modern and clean, Hudson Terrace exudes the popular trendiness that people love about Manhattan clubs, while offering its own uniqueness that keeps people going back. The staff at Hudson Terrace is known for being courteous, friendly, and helpful, something you don't find hardly anywhere in Manhattan. The bartenders are extremely efficient at what they do and it certainly doesn't hurt that each and every one is strangely good looking. Hudson Terrace's music playlist is mostly hip-hop oriented with a bit of electronic and house music tossed in. DJs from around the city make a point to stop in from time to time to keep the party going. You can definitely expect to see plenty of people getting their groove on and if you are the dancing type, Hudson Terrance is definitely a good place for you. 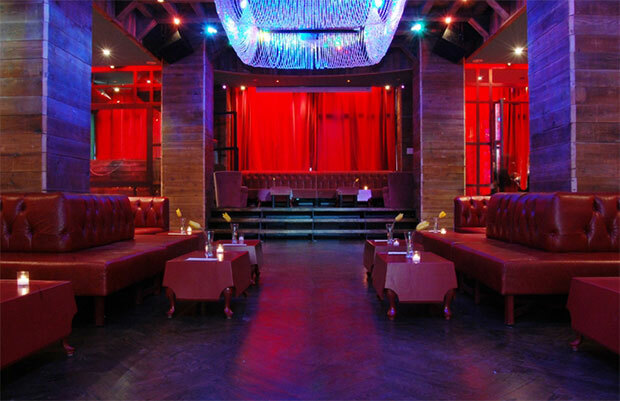 Hudson Terrace has one of the best VIP setups in the neighborhood with sectioned off VIP booths, complete with comfy sofas, nice-sized tables and all the room you need to party in style. Let the club staff bring the party to you at your own VIP spot and you will get to enjoy Hudson Terrace like a king. The bottle service here is always the most efficient way to go and New York City VIP Services can have your space reserved in no time. New York City VIP Services can put you and your friends in the best seats in the house so you can enjoy Hudson Terrace the way it is supposed to be experienced. Our customers receive great discounts on bottles and never have to wait in line or pay a cover charge. Call 646-450-4127 or email info@nycvipservices.com for more information on how you can get your upcoming party plans at Hudson Terrace in motion. Save yourself the hassle and disappointment of trying to make reservations on your own. One phone call to New York City VIP Services will have you toasting to the good life over the heavenly New York City skyline and you only pay a fraction of the normal price. Contact us today and get ready for an unforgettable night out at Hudson Terrace!